Some settings have vanished from the System Administrator Corporate Settings tab in Projetex 3D. Where are they? These settings have been moved to a special Admininstrator tab in the Workstation. 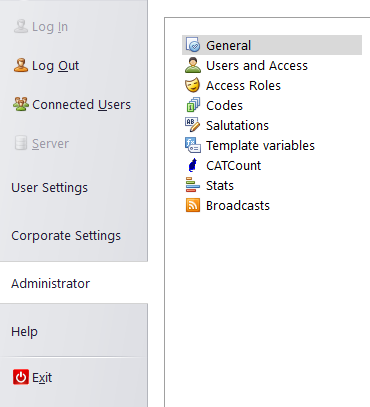 Log into a Workstation with an Admin account and go to "Admininstrator" in the settings.